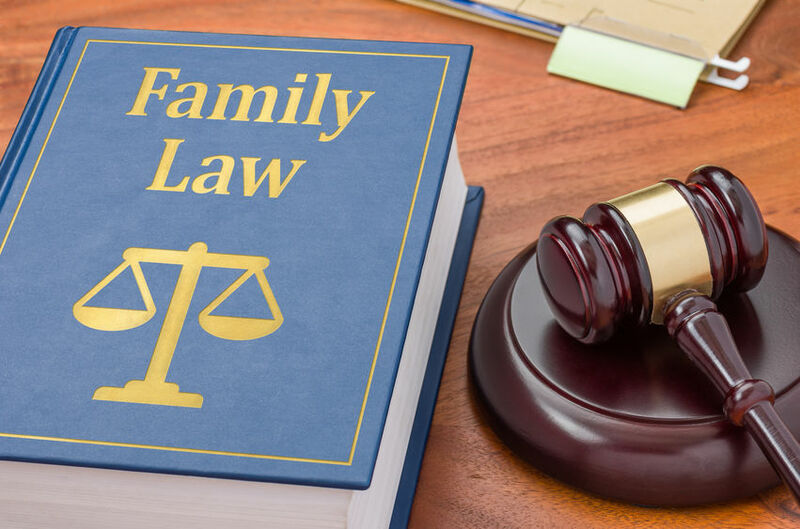 In general, family law involves legal issues that pertain to families, including married couples, and parents and children. Because each state has its own family laws, if you need legal assistance in this area, it’s important that you find an attorney with experience in your state. In this post, we’ll walk you through common types of family law issues and provide guidance into how you can have affordable access to family law attorneys in your area. If one or both members of a couple have significant assets, they may decide to create a prenuptial agreement before they marry. This is a legal contract that specifically states how the couple would divide their property and income, as well as their debts, if they should divorce. Members of a couple may also seek the services of a family law attorney if they decide to legally separate. This is not the same action as a divorce or an end to a domestic partnership, because couples who legally separate are not free to remarry unless they ultimately divorce. When a legal separation takes place, the court will provide a formal judgment about a couple’s property, money and debts, as well as any relevant parenting issues. This judgment would be binding while the couple lives apart in a state of legal separation. A couple may decide to remain legally separated, or they may later decide to reconcile, or to divorce. Issues that arise during the legal separation process may include spousal support. If there are children involved, then issues might also include child custody and visitation rights, plus that of child support. Divorce cases also fall under the umbrella of family law. In this situation, the marriage is formally dissolved and, once the divorce is finalized, each person is free to remarry. To initiate a divorce proceeding, one or both members of a couple must file for divorce in the state where he or she lives. Most states allow people to file for a no-fault divorce; this means that he or she does not need to prove that his or her spouse did anything wrong. Depending upon state law, though, the couple may need to live separately for a predetermined amount of time before a no-fault divorce can be pursued. In other states, the law requires the filing spouse to name a reason why a divorce is being pursued (in other words, he or she must name a “fault”). Reasons might include adultery or cruelty, as just two examples. Ideally, the couple can mutually agree upon who gets to keep each asset and who will pay each debt. When that doesn’t happen, how assets will be divided will largely depend upon whether the state is a community property state or an equitable distribution property state. In the former, community property is typically divided equally, while each spouse can keep property that is his or hers. In the latter, assets are divided “equitably,” which doesn’t necessarily mean equally. One spouse’s earning potential, for example, may be factored in. This list is not intended to be comprehensive. Instead, it’s a list of some of the most common family law issues that can arise between couples. As one example, adoptions fall under the auspices of family law. You can adopt a child through an agency, which is a governmentally regulated process, or you can adopt a child independently/privately, without going through an agency. Or, if you’re a stepparent, you might decide to legally adopt a stepchild. You could also be a foster parent and agree to adopt a foster child whose parents lost their parental rights. Specifics of the adoption process can vary significantly among types, and laws also vary by state. Obtaining guardianship of a child also falls under family law. If you become a legal guardian, the court has decided that you can protect the rights of another person (your “ward”), who is often a child whose parents can no longer care for him or her. Or you could become a legal guardian of an adult with disabilities that prevent him or her from acting independently. Guardianships can be more temporary than adoptions; they can also happen in emergency situations. Besides adoptions and guardianships, there are numerous child-related issues that can be triggered by a divorce, and this includes child custody decisions. At the heart of this type of family law is determining what arrangement would be in the best interests of the child or children, not the parents. Courts can decide upon joint custody or award it to one parent; whatever is decided, the person who has custody now has the responsibility of caring for and making major decisions for the child. Closely related to child custody decisions are visitation rights. If, for example, the father is given custody rights of a child, then the mother is often given visitation rights—although, in abusive situations, a parent may only be allowed to have supervised visitation with his or her child. In rarer cases, a parent is prevented from having any visitation rights at all. A typical visitation agreement might include where a child would primarily live, what type of visitation schedule the other parent would have, what kind of geographical restrictions there might be on where the child could be taken, what activities are permitted, and more. When a divorce takes place, child support decisions will likely need to be made as well. Each state has guidelines on how much a parent would pay (or receive) in child support, and formulas used can get quite complex. Factors taken into account often include the salary of the person who would pay the child support, the number of children involved, the ages of the children, and whether the payor will have a new family to support in a new marriage. More recently, the issue of visitation rights for grandparents has come to the forefront. According to the American Bar Association, grandparents were traditionally denied visitation if a parent objected to the visitation. Since 1965, though, all 50 states plus the District of Columbia have legislation in place that allows grandparents to petition for visitation rights. This doesn’t mean that they are automatically awarded, but grandparents now have the right to ask for this type of court order. Some states have also extended this right to other relatives, from aunts, uncles and siblings, to stepparents, great-grandparents and others with whom the child has a close relationship (without being legally related to them). Grandparents and other interested third parties typically ask for visitation upon a divorce of the parents, or after a death of one of them. Some states also agree to hear petitions, as just one other type of situation, if a parent is sent to prison. Clearly, these situations can get complicated, which is why it’s recommended that family law attorneys are consulted so that your interests, and that of your children, are protected. In general, the parties involved in a family law procedure can stipulate areas where they agree. If, for example, a divorcing couple agrees upon child custody and support specifics, they can put that in writing. If the court approves the document, it becomes part of the court order. When this type of agreement is made, it’s often the best solution possible. Often, of course, each party may have different requests. When that happens, the court often orders mediation, where a neutral third party works with both parties involved to come up with an agreement. Sometimes, mediation allows each party to brainstorm ideas, communicate them to one another, and find solutions that work for everyone. If an agreement cannot be reached, though, then the case will likely go to trial, where each person needs to testify, submit evidence, and so forth. A family law judge will be appointed to hear the trial and make a ruling. People in need of legal advice about personal and family situations may hesitate to contact an attorney because of the cost involved. That’s understandable—and, fortunately, that’s where a legal benefits plan comes in, offering affordable access to attorneys. This easy access can help you and your family get through challenging times, with outcomes that work well. Our Family Defender™ legal benefits plan provides families with easy and affordable access to area attorneys, including family law attorneys, to help with the types of issues discussed in this post. Contact us today to discuss how you can offer Family Defender™.